While the tools for communication have come a long way since letters and telegrams, there are still many ways to misunderstand each other with phone calls and emails. Many business managers know this and prefer face-to-face communication whenever possible. But with the cost of flights, gas, and accommodations, meetings can get expensive very quickly. So, budget-conscious managers schedule fewer meetings between different offices and depend on text and voice exchanges for inter-team communication. But we live in a modern world, where communication needs to be flexible while mobilizing your workforce! 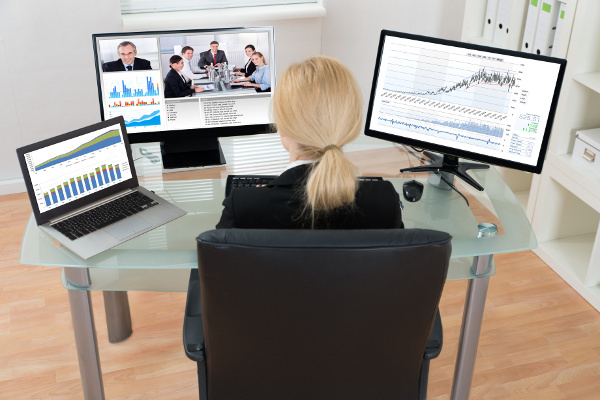 Video conferencing is a great solution for connecting multiple locations, including your company’s other offices, customer sites, vendors, traveling team members, and remote employees. This helps you maintain good working relationships without the high cost and stress of travel. How else does video improve communication? For one, it’s easier to spot sarcasm, jokes, or escalating situations when attendees can see other person’s reactions and read their body language. It’s also better for keeping everyone on the same page. Anyone who is currently off-site can still connect and stay up-to-date. This is particularly useful for those team or company-wide training sessions. You can also create webinars and class presentations with features such as file transfers, instant messaging, and video recordings, to name a few. Whether your business is large or small, we have different solutions from several partners that we can select based on your business needs.